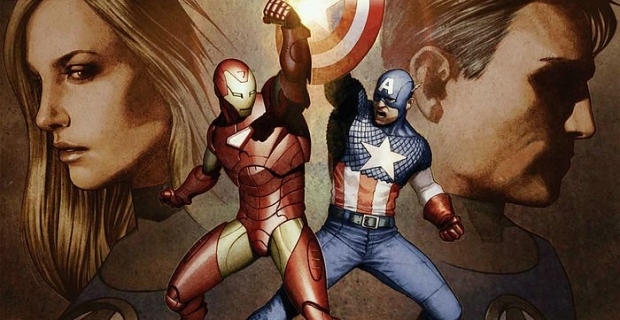 Captain America: Civil War started filming in earnest over the past few weeks here in Atlanta. As a matter of fact, it turns out the cast was having lunch at the sushi restaurant down the street from our house! Today, Marvel revealed the full cast along with the official synopsis, and while much of it is old news, the biggest surprises here are that Paul Rudd and William Hurt will be taking part in the film. For Rudd, despite my prediction that Marvel might end up treating Ant-Man in a way similar to The Incredible Hulk (a one-off that sort lies forgotten in the larger machinations of the studio) it looks as though it will matter at least somewhat for the overall MCU narrative. Speaking of The Incredible Hulk, Hurt will be reprising his role as General Ross. I guess you need to hang on to those Blu-rays after all, despite Ruffalo's Banner seeming like a completely different character than Norton's version. There's no new Spider-Man listed as of yet, but Marvel and Sony may still be in auditions for that role, if the character does indeed appear in the film.